Vertical clearance above deck: 82.0 ft.
March 22, 2017: Updated by Christopher Finigan: Added category "Painted green"
The towers of the first bridge were salvaged during steel shortage caused by World War II. I will assume the cables suffered the same fate. However, the 1950 bridge was rebuilt from the piers up on the modified caissons of the 1940 span. If you ever visit the site you can find pieces of the old deck and approach spans under the bridge and used for rip rap up the western slopes. Were the towers from the first bridge? If they were were new cables fabricated or were the original cables usable? The purpose of the National Bridge Inventory is to collect bridge inspection data. The bridge inspectors aren't going to dwell over whether a bridge was built in 1948 or 1950, but they are going to be careful to record accurate inspection reports. These ratings don't just consider the bridge's structural condition, but also whether the bridge is "sufficient" to meet modern traffic demands and safety standards. "A functionally obsolete bridge is one that was built to standards that are not used today. These bridges are not automatically rated as structurally deficient, nor are they inherently unsafe. Functionally obsolete bridges are those that do not have adequate lane widths, shoulder widths, or vertical clearances to serve current traffic demand or to meet the current geometric standards, or those that may be occasionally flooded." Another interesting tidbit is that according to inspectors (and per the three most popular books written about this span, see the References section of Wikipedia article I wrote about it for specific details about the three books) the Tacoma Narrows Bridge, per an independent outside inspection agency, rates the 1950 Tacoma Narrows Bridge as being one of the best in the nation for its condition and age. I am really beginning to wonder where the NBI gets its information from. 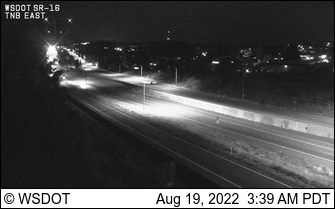 And having seen the bridge up close and personal more times than I can count my fingers and toes, I will say that the WSDOT does an impeccable job at maintaining it. Interesting that they'd list construction starting in 1949 on the Tacoma Narrows, even though earthmoving and new anchorage construction began in 1948. The National Bridge Inventory will sometimes list the date that construction started, instead of the year completed. This can be very confusing. As for measurements, the NBI gives most dimensions in meters. So the original measurements (typically feet and inches) are converted to meters, and then they get converted back to feet (to the nearest tenth) for this website. So rounding errors can and do happen. When entering data to the NBI and this site, the width asked for is the horizontal roadway clearance(Curb to Curb) Not the width of the structure. The same goes for the height of the structure, they want the vertical vehicle clearance. 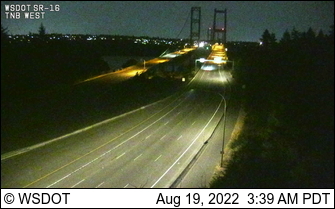 As for the date of the Tacoma Narrows Bridge I never understood why this structure is or was dated 1949 in the NBI. Like you mentioned the opening date was in 1950. Good updated on information and nice photos. This is to further correct an error. The deck width is not 46.3 feet. Per the official way of measuring a suspension bridge deck, the official measurement is exactly 60 feet (as measured from girder-to-girder. It's also the width of the two main towers and the gap between the main cables measured centerline-to-centerline. The 46.3 foot (actually, would be 46'8" per the blueprints I have of it) is only the measurement of the road deck as measured inside the two pipe curbs. I wrote a vast majority of that article as well as provided all the imagery (of which some images were uploaded here), and also supplied the original structural blueprint layouts for it. This is to correct the build year for this entry of the Tacoma Narrows Bridge. Per Wikipedia, newspaper clippings as well as the four books written on it, the bridge was completed and opened in 1950, NOT 1949. In 1949, only the towers and main cable system of this bridge were up, deck construction started in March 1950 and completed at the end of June. Opening day was October 14, 1950. And I've included photos of the bridge that were taken in May of 2009, and also illustrate portions of the original 1940 Tacoma Narrows Bridge (specifically, the west approach viaduct) that were used for the 1950 span. Thank you for show photo. First Tacoma Narrows Bridge was open in 1940. Then four month later It was strong wind hit bridge. It was collasped. It was lost. Second Tacoma Narrows Bridge was open about 1950. Also add new bridge eastbroad was open sept. 2007. it is toll bridge cost 3 dallor per car. THANK YOU.